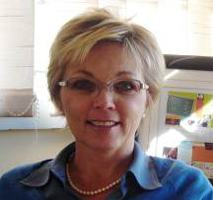 Sparrow Schools in Johannesburg, South Africa were started by Jackie Gallagher in 1990. Sparrow is an Educational Trust comprising two schools and a Further Education and Training (FET) college where over 700 children and young adults, unable to cope in mainstream education, are given a chance to become contributing members of society. Many at Sparrow come from families devastated by HIV/AIDS. There are children who have faced abuse, exploitation, deprivation and homelessness. 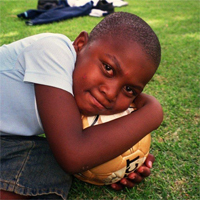 Some are orphans and will never have experienced parental love; many live in the townships and will have had to fend for themselves from a very young age. There are children with serious learning difficulties and there are children who have the kinds of problems that result from years of neglect. All of them are in desperate need of the help that Sparrow can offer, if they are to break out of the cycle of poverty. 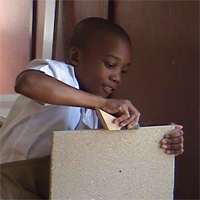 Sparrow Foundation School provides both a remedial and specialized education to children with learning difficulties between the ages of 7 and 13. The children have a diverse range of abilities and besides literacy (for many English is a second or even third language) and numeracy the pupils learn life skills. The academic programme is supplemented by classes such as sewing, cookery, woodwork, music and sport. Speech, remedial and occupational therapy, educational psychology and mentoring are offered to each child, according to need. Children who make good academic progress at Foundation School are able to re-enter mainstream education at 14. For pupils with more profound learning difficulties, Sparrow provides individually tailored, skills-based learning. Sparrow Combined School provides two educational streams for students between the ages of 14 and 20. 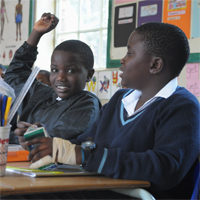 The first, the remedial FET-feeder stream, enables pupils with learning difficulties to obtain a sufficient level of achievement to enter the mainstream education system or to continue to complete an accredited qualification at Sparrow FET College. For pupils who are cognitively impaired, the second special education stream aims to equip them with the essential skills needed to manage their adult lives. Both streams focus on improved literacy and numeracy, as well as social and personal health and well-being, and are supported by Sparrow’s team of social workers and therapists. The establishment of a FET College has enabled Sparrow to provide a growing range of fully accredited qualifications. It successfully addresses the skills shortages in various industries in South Africa, through the formation of partnerships with local businesses. The businesses not only enjoy tangible tax benefits, but are also able to create a pool of trained young people from which to recruit employees. Sparrow currently develops and provides training programmes in the construction, automotive repair and food preparation industries. As part of their qualification, students are required to spend time in the industry and gain experience in the real world of work. This exposure offers the student the opportunity to show what he or she can do and greatly improves the chances of securing full-time employment once he or she has completed training. This further education and training has transformed not just the lives of the students, for whom stable employment once seemed an impossible dream, but also – by enabling the students to earn a living – the lives of many other members of their families.